Grand Theft Auto V has made tons of money and is continuing to rake in the green with sales, but today word is out the company plans to make even more with in-game transactions when GTA V Online launches. 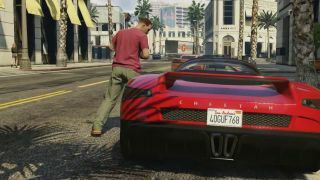 "You don't have to spend real money to attain the cars, guns, clothes, flash and style of a high-roller in Los Santos, but can if you wish to get them a little quicker." Cash from single player mode cannot transfer to online mode and vice versa however, so spend wisely if you choose to do so. Our blips are free but rich with tidbits information.